In the centre of the square, below the seed syllable, is a deep red inverted triangle. Within this resides/sleeps the kundalini shakti, the great spiritual potential, waiting to be aroused and brought back up to the source from which it originated, Brahman. She is represented as a snake wrapped three and a half times around a smokey grey lingam. 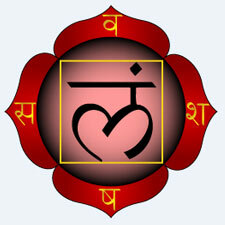 Muladhara is the base from which the three main psychic channels or nadis emerge: the Ida, Pingala and Sushumna. 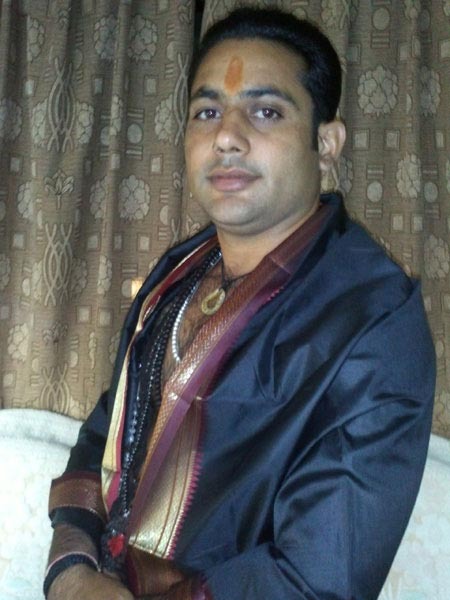 It is also believed that Muladhara is a subtle abode of the Hindu God, Ganapati. And in the highest revered prayer for Ganapati, the Ganapati Atharvashirsha, it is mentioned that 'one who worships Lord Ganapati would easily grasp the concept and realize Brahman'. In the Sufi system of Lataif, there are 2 'lower' Lataif. One is the nafs, which is just below the navel. The nafs incorporates all the elements of man's 'lower self'. The other similar lataif is called the qalab, or mould, which appears in 7 lataif systems, and corresponds to the physical body, but this is sometimes located at the top of the head  Qalab is usually further divided into the 4 elements.